Reassurance shield after Indiana 51 as the dust settles. 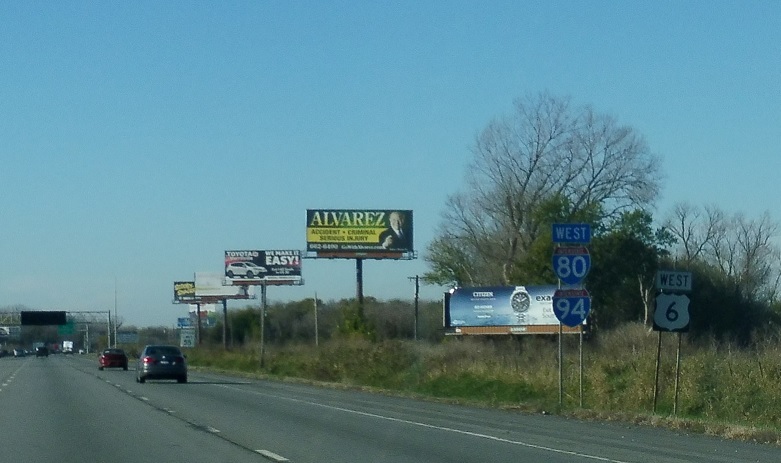 A couple miles later, we’ll approach Interstate 65. 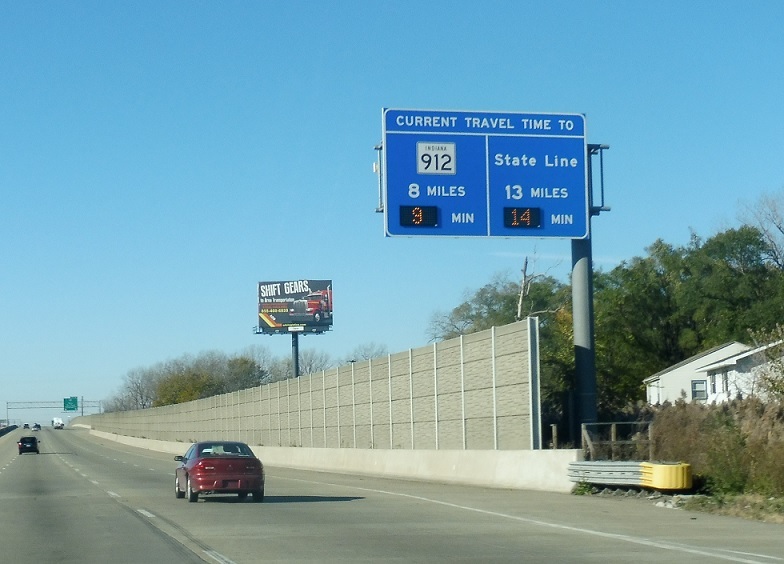 8 miles to Indiana 912. 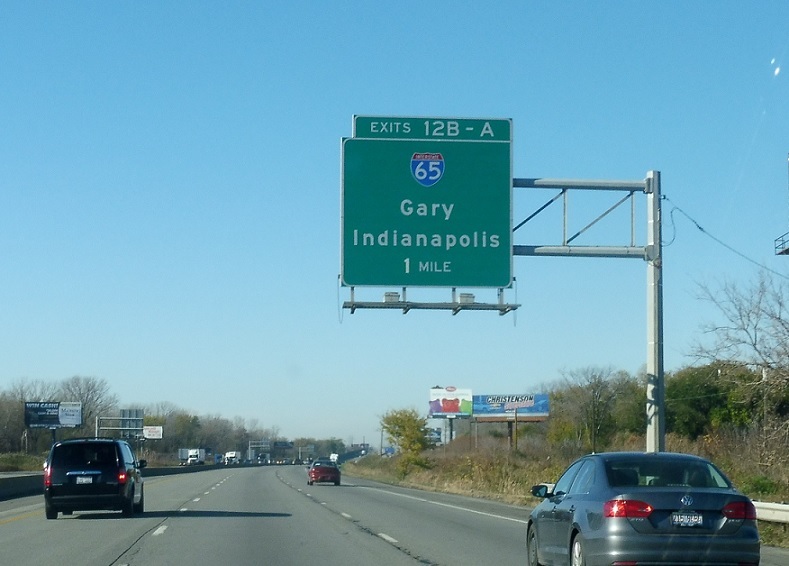 Exit for I-65, which heads north up to downtown Gary and south to Indianapolis. 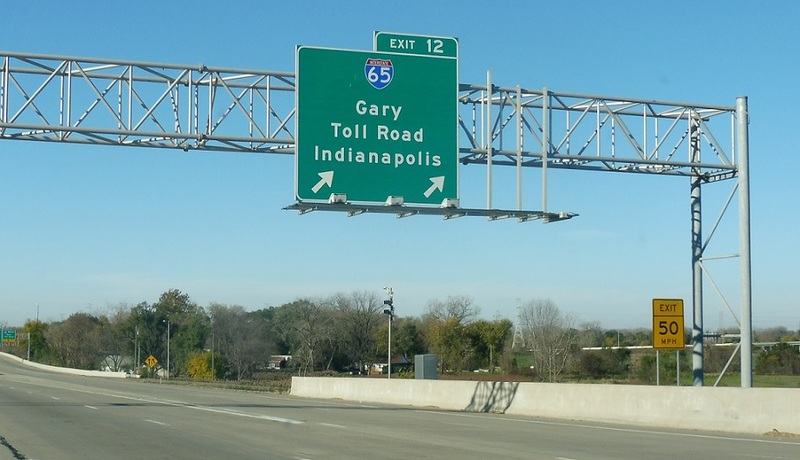 Follow 65 north to Gary and the Toll Road. 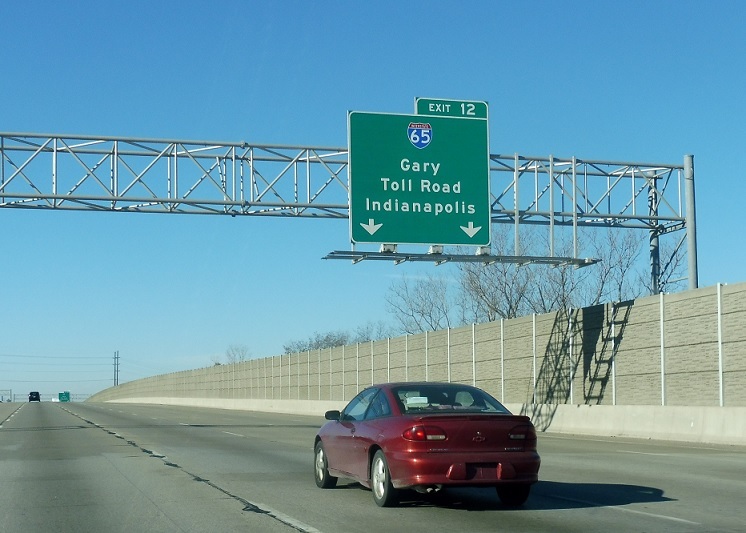 65 south goes to Indy.